2009 BMW Mini Cooper Convertible. 1.6. Pepper White. Black Leather. 71K. FSH. 2 Owners. 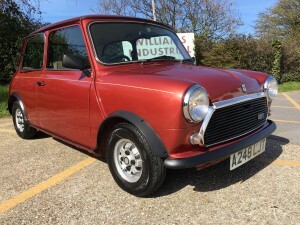 1998 Rover Mini 1275cc MPi. Flame Red. Only 2 owners. 51k. FSH. 1966 Austin Healey Sprite. 1098cc. 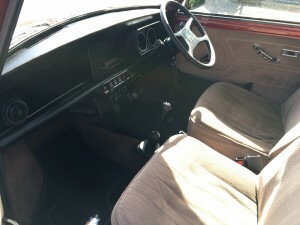 MK3. Old English white. 3 owners. Heritage shell. Stunning. 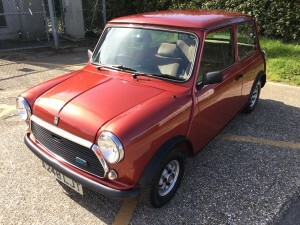 SOLD 1984 Austin Mini Mayfair. 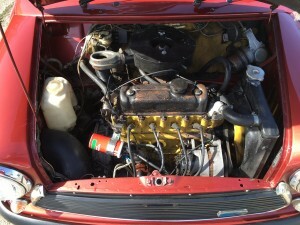 1000cc. Metallic Oporto red. Only 64k. Very original. 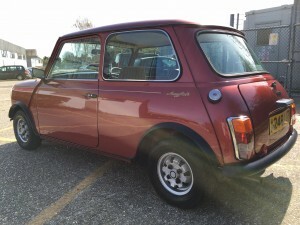 We are very pleased to offer this very well cared for original Mini Mayfair. Finished in very rare metallic Oporto red which is really gleams in the sun and has covered only 62k in 35 years and in the last ten years only 4k in the hands of two careful owners. Minis like this are a pleasure to own and I just love coming accross a little gem like this as they are increasingly rare these days. 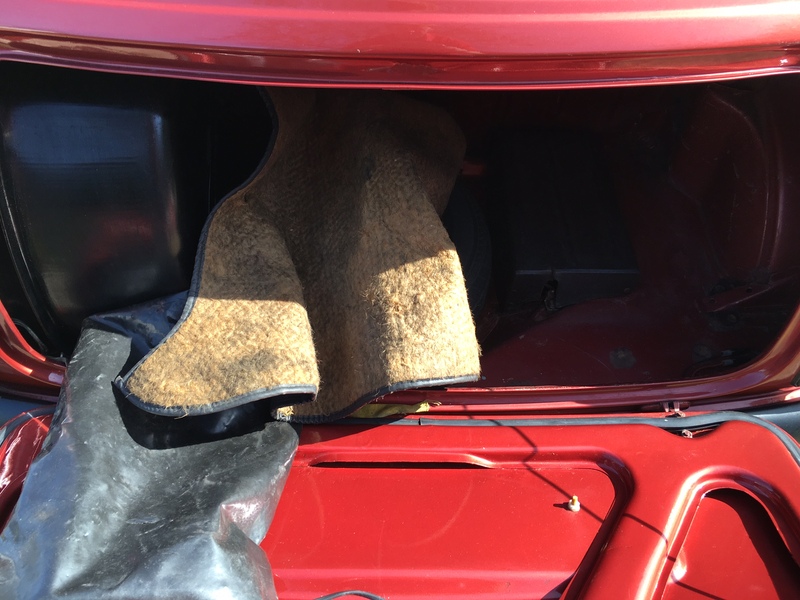 It is accompanied with previous MOTs, original handbooks and MOT history and both sets of original keys. This Mayfair represents the end of an era for the Classic Mini as it was the last year that they were fitted with the sought after ten inch wheels, which give the pure Mini driving exeperience. 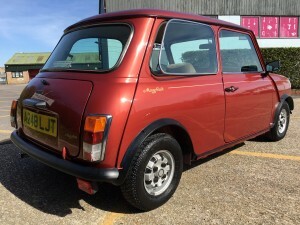 This Mini is also finished in a very rare colour, Oporto red, that i have only seen a couple of times. 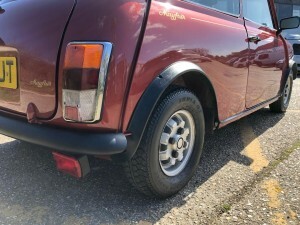 On the road this Mini is a joy to drive, the engine is very responsive and the gearbox is smooth. 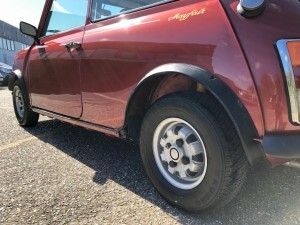 The handling is fantastic on the ten inch wheels and it just puts a big smile on your face, everything works well and its certainly ready for some new adventures. This Mini has gleaming paint work which belie its years, furthermore it has its original sills and gleaming original floors and is still body coloured inside all four wheel arches, its sheltered life has certainly benefitted it and it will be in this condition for many years to come. This Mini could easily sit on display on any club stand as well as you make you very proud seeing it on your drive. 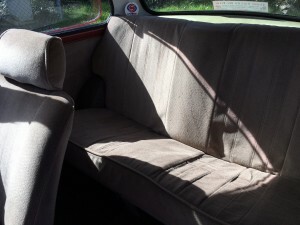 The interior is all original and in very good condition and finished with those very early eighties brown velour reclining seats, and it still wears its original carpets and AM Austin radio, this Mini really is a fantastic time warp. 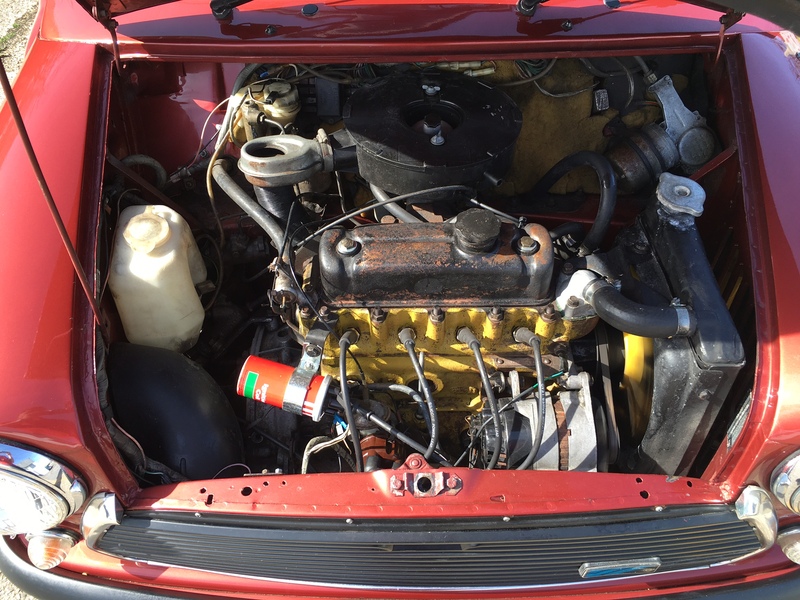 The Mini has been fully serviced and has a long MOT and is ready to go and make you smile. A delivery service is also available. 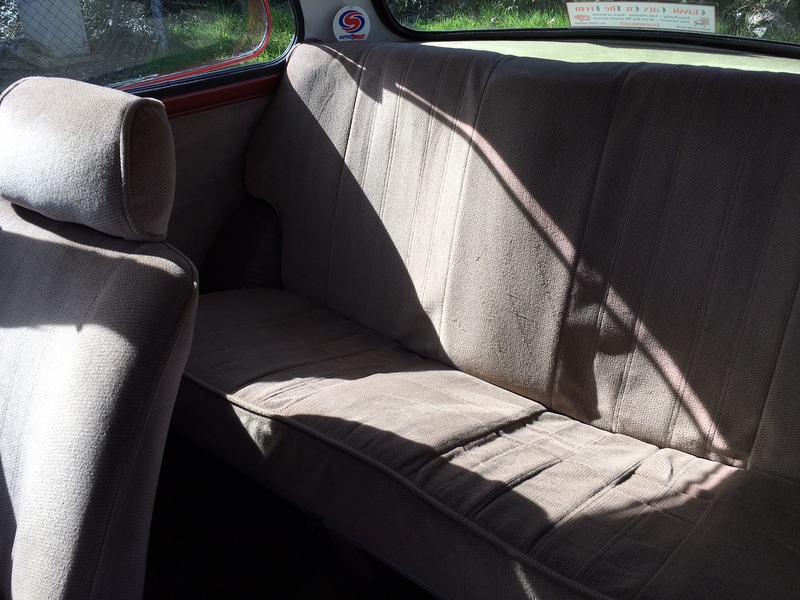 We have also teamed up with Pegasus finance, helping you to spread the cost of your Classic. the easy to use link is on this website. We are constantly preparing Classic Minis for sale so please get in touch with your requirements we can discuss what we have and are always happy to help.